In order to follow this methodology, VN is presented as a monolingual tool. This means that students can work on their new and old vocabulary by using a tool that is completely in English. Thus, as it would happen in a CLIL classroom, students will work on vocabulary in a contextualized situation, and, as a result, they will learn more. 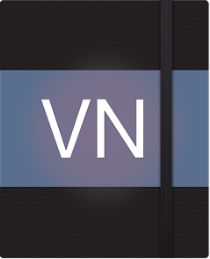 VN offers the possibility of adding translations and definitions. However, regarding the CLIL methodology, we consider encouraging the creation of definitions to be more suitable. If students create their own definitions, it benefits their learning because they build their own knowledge. This process is more meaningful for them because, as a result, the new vocabulary will be kept in the long term memory. In this case, there would be only one course for all the subjects. In this course, students would create different categories that correspond to each CLIL subject, for example, one category could be “biology” and other could be “design and technology”. Within these categories, students would include the vocabulary related to the subjects they study, for example, “endocrine system” would be added to the category of “biology”. However, if this option is chosen, it is important to remark that every teacher would see how students work in every subject and the stats obtained from all of the subjects. Another option is that there a course is created for each subject. Then the possible categories would correspond to different topics or units. For example, one course could be “Mathematics – CLIL” and possible categories could be “algebra”, “geometry”, etc. In this case, teachers would only be able to see the aspects related to their subjects and maybe, they would prefer it. How could the English Department coordinate in a better way the CLIL program? We have a solution for that! The English teacher can coordinate the CLIL program better by using this tool. English teachers can be included in all the courses (CLIL subjects) in order to check how the CLIL program is being carried out, how students deal with specific vocabulary (mathematics, sciences, arts, technology, physical education, etc.) and which possible suggestions they can make to the rest of the teachers.